Pie Face! It’s a huge institution in Australia and there are many branches down under, not just in their New South Wales origins but in Victoria. I remember seeing it when we were in Melbourne 3 years ago and I even took a photo of the Pie Face shop. They’re famous for the quirky and funny faces they put on their pies to tell them apart. This was actually a little after my time as my convocation was in 2003. 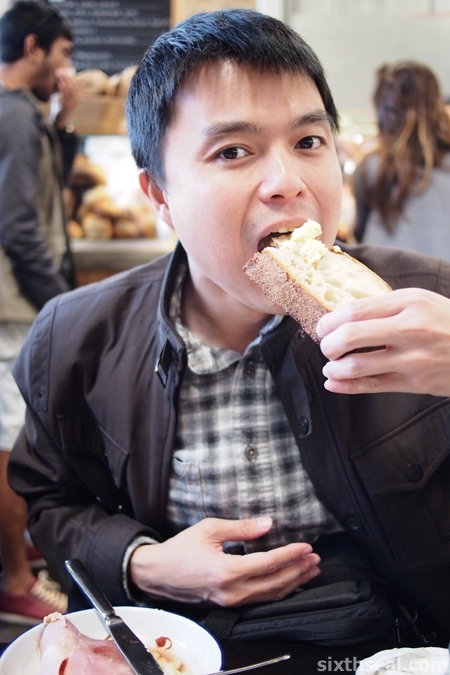 I spent almost 5 years in Melbourne and in between snowboarding, raves and doofs I managed to eat quite a lot of pies. Pies are very big in Aussie, and I do miss chowing down on a nice meaty Australian style pie. Thus, when I passed by Pie Face while finding parking during the weekend, I immediately walked in. The friendly tudung-clad girl behind the counter told me this branch just opened earlier this month. I think she said 10th of February. I was here for a Hearthstone event at 1 pm but I thought I could spare a bit of time to grab some lunch so I ordered the 2 Mini Pies + Coffee or Tea for RM 10 deal. The mini pies usually go for RM 5 and the regular sized ones for RM 7 so that’s a good deal – the drink is essentially free. I opted for a long black. 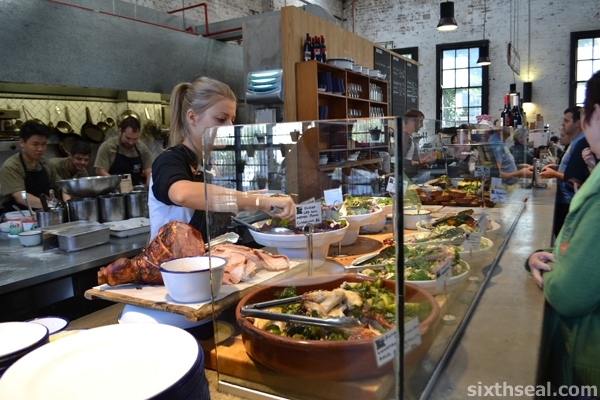 There is a wide selection of pies divided into roughly two categories – Australia Premium and Local Favorites. I got one from each, the Mini Chunky Steak Pie and the Mini Beef Rendang Pie. You can choose to have “The Ultimate Aussie Stack” as an add-on. This is a topping of mash, peas and gravy for the pies and I highly recommend it. It costs RM 3 for The Stack (regular sized) and RM 1.50 for Mini Stack (mini pies). This is more of a Perth and Sydney thing, back in Melbourne we mostly just ate pies with ketchup on top. It is quite good though and the hot mash and peas goes very well with the chunky steak pie. It provides a more substantial meal too – all those carbs are quite satisfying to eat. You can see the generous filling of the pies here. I liked the mini pies, it gives you an opportunity to try out more flavors since the pies are about 1/2 the size of regular ones. You can also have them to go – I packed 6 of the mini pies back for my better half for RM 18 (a dozen mini pies are RM 34) as part of their Pie-tastic Deal. I got one of each flavor: Black Pepper Chicken Pie, Creamy Mushroom Pie, Curry Chicken Pie, Spicy Chicken Pie, Creamy Vegetable Pie, Classic Mince Beef Pie. I think the two premium Australian pies from Pie Face are the best – Chunky Steak Pie and Classic Mince Beef Pie. The local favorites can be a little hit and miss. Some, like the Black Pepper Chicken Pie is decent but others like the Curry Chicken Pie is quite awful with too much potatoes inside. The latter tastes like a badly made karipap (local curry puff). I also grabbed an Apple Crumble Pie (RM 6) for dessert. Pie Face has a couple of sweet offerings as well and this was palatable enough. 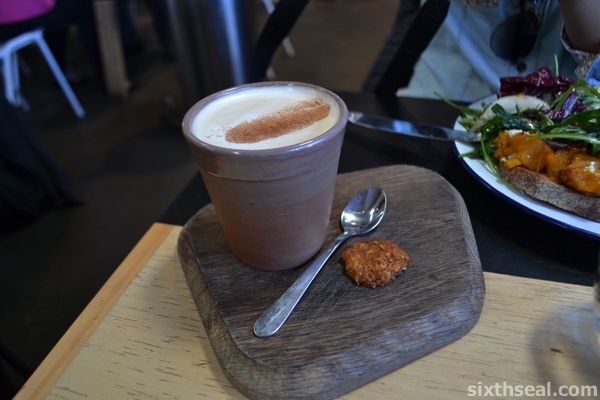 Adelaide: Foodie mecca and top wine destination! 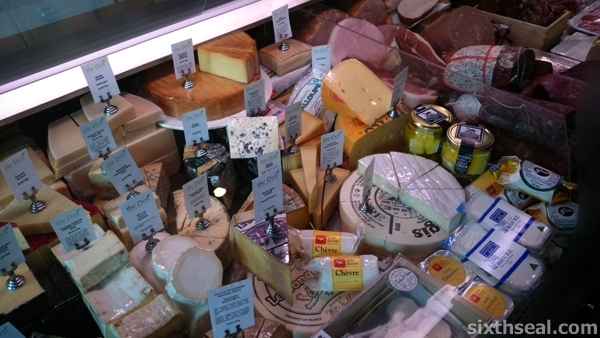 Adelaide has one of the best food markets in Australia with the Adelaide Central Market. I’ve always been very impressed with the amount of fine fresh local produce there. 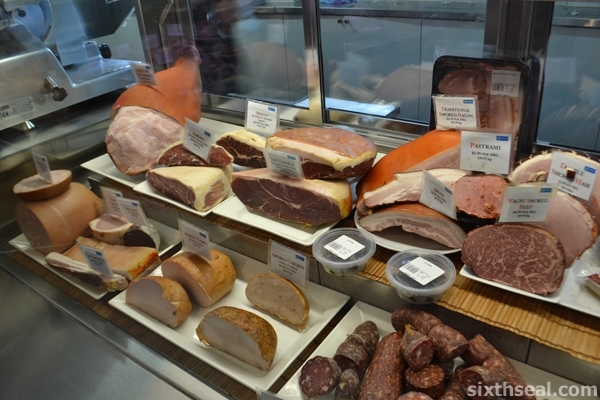 There’s all sorts of artisanal products like farm-to-table speciality deli meat and craft bakeries producing delicious bread. I even brought home a whole 1 kg loaf of fig and walnut sourdough bread when I was last there! This is from Wild Loaf by James & Emanuel Katsarelias and they’re renowned for their handmade artisan sour dough range. Lucia’s Fine Foods is one of the most popular coffee houses in the Central Market and I had a very nice chai latte while I was there. It’s one of the places you must visit when you’re in Adelaide, just sit and relax with a brew in hand while people watching (and there’s no shortage of that for the Central Market is vibrant and packed with visitors). However, if you’re the sort who prefers a nice glass of wine and you’re going to South Australia this year, you’re in luck! 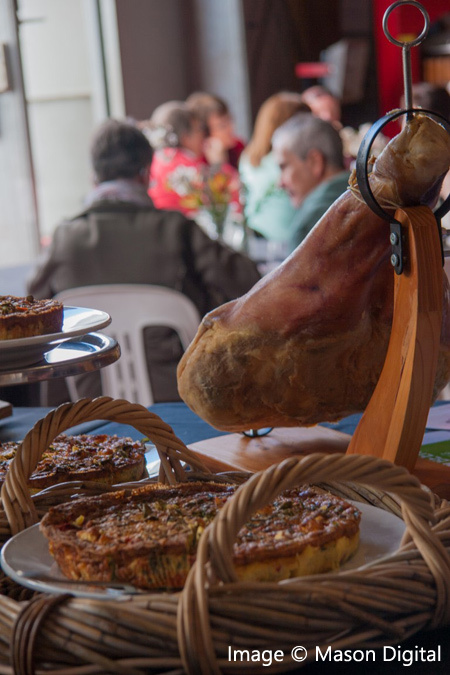 The Barossa Gourmet Weekend is going to be held on the 14-16 August 2015 and it’s located in the world famous Barossa Valley. This is an amazing opportunity to enjoy Barossa wines matched with food from Adelaide’s leading restaurants at cellar door events throughout the Barossa. There will also be “Winery Days” where you can enjoy world renowned wines, fresh produce and live entertainment (as well as a good dose of Barossa hospitality). 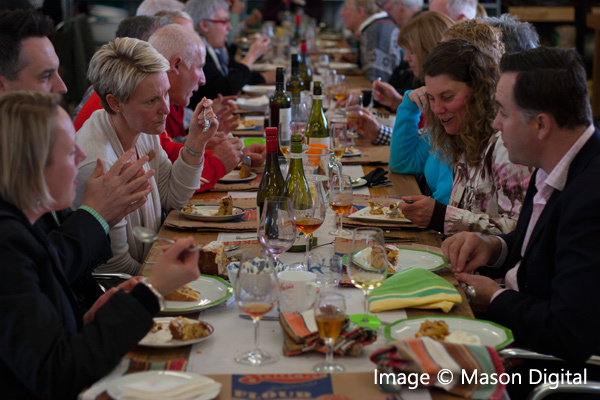 If you’re looking to visit the Barossa Valley, keep this in mind as this will be the absolute best time to go – there will be events every single day, including long lunches and dinners, cooking classes and wine master classes showcasing the best of the Barossa. If fine local Barossa wine and decadent degustation menus are your thing, you have to make it down to the Barossa Valley in the third week of August to see what’s what. Check out barossagourmet.com for more information before you head off to this celebration of wine, food and life! I’ve also had the pleasure of walking down Gouger Street, which is one of the most well known eating streets in Australia (kinda like how Hardware Lane in Melbourne is to cafes and weekend brunches). 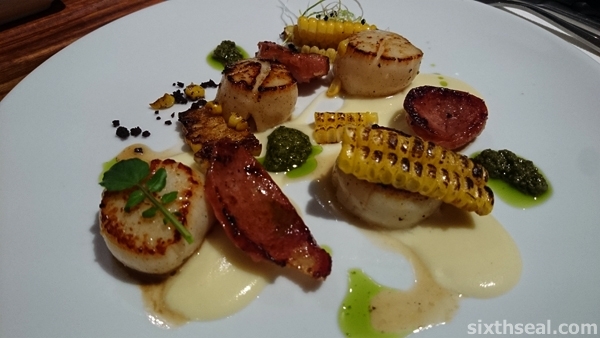 Unfortunately, I only managed to have one meal there as my visit time was limited but I’ll like to go again since there are so many restaurants offering modern Australian cuisine there. Adelaide has seen an explosion of fine restaurants as the Australian Good Food & Travel Guide (Australia’s answer to the Michelin Red Book, without the politics) illustrates. 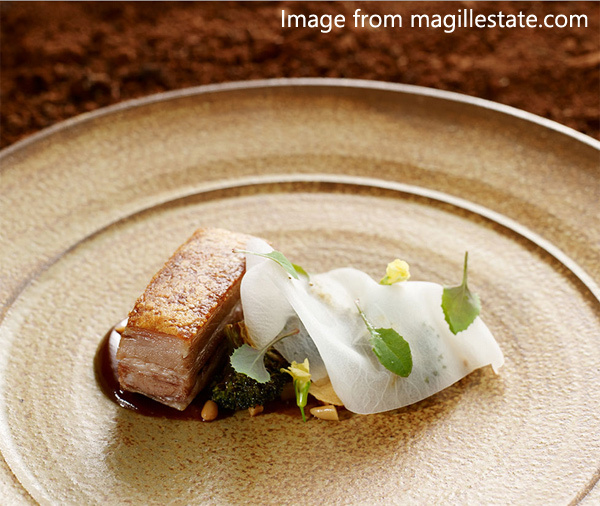 One restaurant I’ve always wanted to try is Magill Estate. It’s helmed by chef Scott Huggins who used to work at Tokyo’s three Michelin-starred Nihonryori Ryugin. It offers an 7 course degustation menu for AUD 425 (with the Icon and Luxury wine pairing option, which features Penfolds best vintages) and it’s located at the home of Penfolds. Unfortunately, it was closed for renovations at the time but I’ll be sure to make one before I go next time. It’s one of the best restaurants in South Australia and a look at their 2015 Seasonal Menu offers a peek at the simple contemporary Australian food philosophy they have – “Partridge, Jamon, Last years pickled peach”. 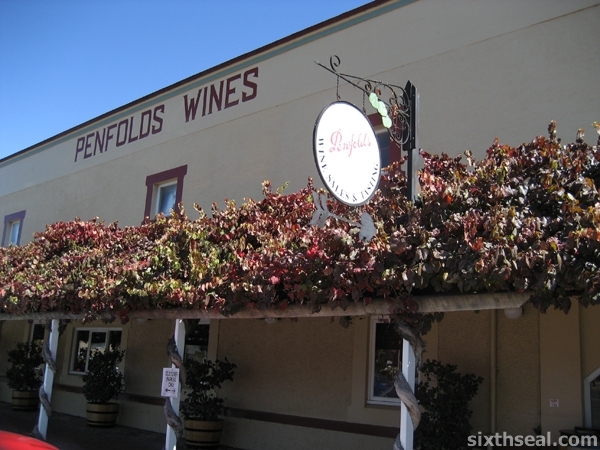 It’s definitely a must visit if you’re heading to Penfolds. I’ll go again just to eat at their showcase restaurant. That’s just one of many examples that the food revolution that’s swept Australia, in part due to TV shows like MasterChef Australia. 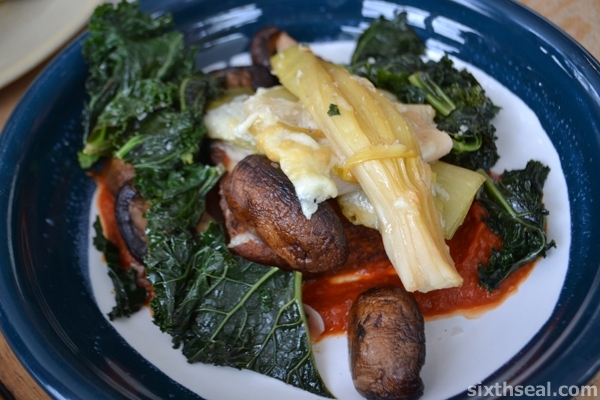 Andre Ursini (Season 3 finalist) opened an award winning restaurant in Adelaide called Andre’s Cucina & Polenta Bar that I’ll love to visit again. It has a “Consigli” menu written on the board with daily specials that’s mouth-watering to read and I couldn’t try more than one main last time I was there! I’ve always considered food as an important part of travel and you won’t go wrong by ensuring your travel plans are in sync with Tasting Australia. It’s Australia’s premium eating and drinking festival and it’s been around for more than fifteen years! This biennial event will be held next in 2016 and it’s the perfect time for foodies to go. 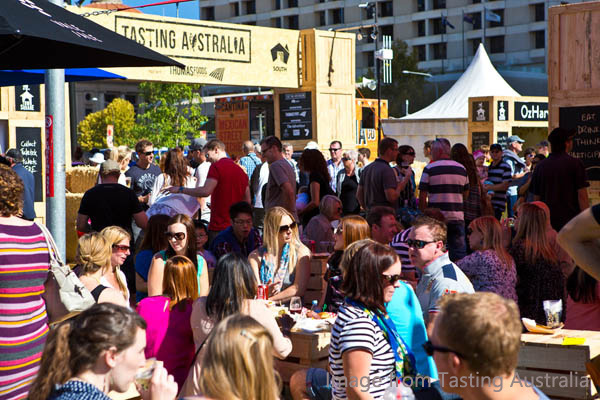 There was more than 80 free and ticketed events over the course of eight days in the CBD and Tasting Australia is perfect for travelling foodies to enjoy and learn more about food and wine right in the heart of Adelaide. I’m really excited about this and I can’t believe I’ve never heard of it before! I would really love to go back to South Australia just for the chance to attend the various Tasting Australia events. It’s going to be an annual festival starting from Tasting Australia 2016 so if you’re planning to go next year, find out the dates from the Tasting Australia website. There’s just so much to eat, drink and do in Adelaide that planning in advance can be part of the fun too! I’ve always enjoyed browsing potential festivals, events, restaurants and wineries and talking about it with my better half before we actually go on a trip and southaustralia.com offers plenty of good food and wine, in addition to amazing festivals dedicated to cuisine and vin. 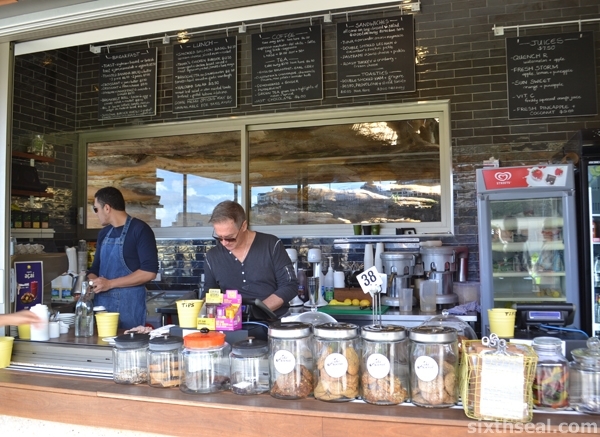 You’ll love the festival scene in Adelaide if you’re a true foodie! 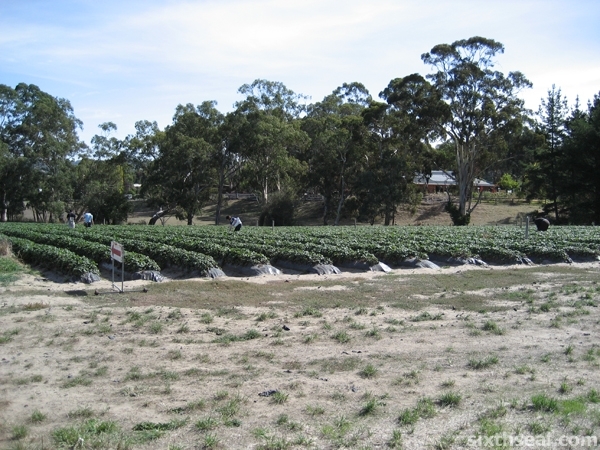 I was first introduced to the charms of South Australia when I was studying in Australia. I was based in Melbourne then and Adelaide was just a short 8 hour drive away. I didn’t think there was much to do there at first, but I was seduced by the sheer beauty of South Australia and loved it so much that I went back again 3 years ago. I love food and wine and the latter is very abundant here. South Australia is home to Penfold’s and Jacob’s Creek! You can have wine tastings all day long and even if you’re not studying to become a Master Sommelier – if you truly are a foodie, you’ll love wine country. That alone is worth a trip here. I shall not bore you with details like how Adelaide has free transportation throughout the city – let that be a pleasant surprise when you come here. Chances are, you’re not going to stay in the CBD much anyway – most of the attractions are just a short distance away and I sure hope you didn’t come to South Australia to shop (nothing wrong with that, there’s just better things to do). 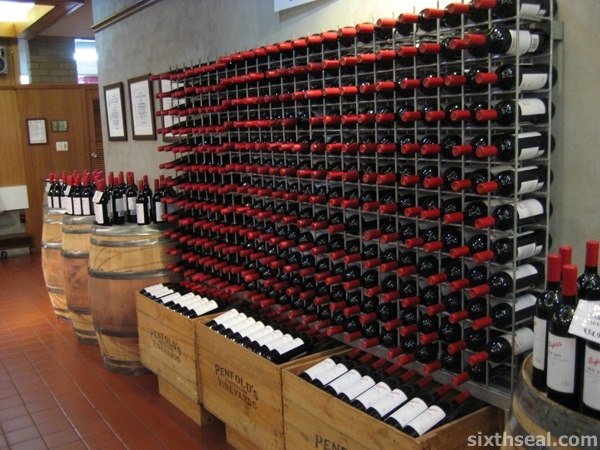 Like I said earlier, you’ll not be disappointed with what South Australia has to offer in terms of wine tours. There are 18 wine regions in the state alone! Yup, I got that figure from a brochure but you have to admit it’s pretty amazing. 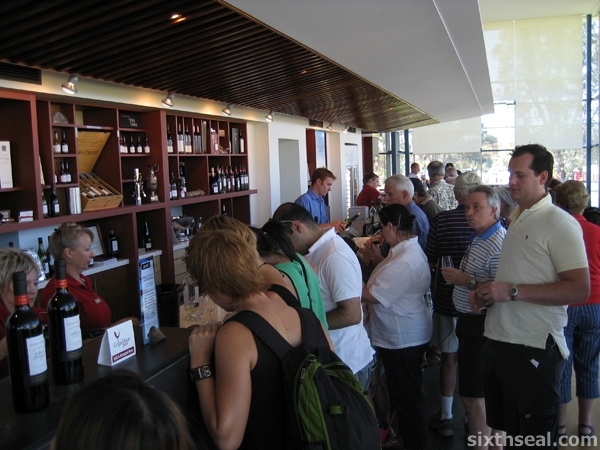 I’ve been to wine tours and tastings in Adelaide Hills, Clare Valley, and Barossa. The Barossa Valley is said to have the world’s best Shiraz. 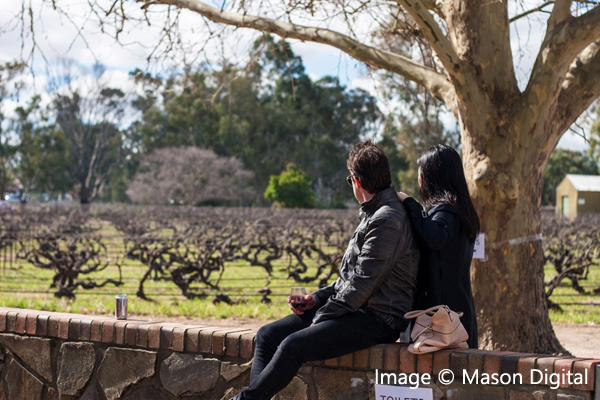 Make sure to take some time to cycle along the Riesling Trail at Clare Valley, it’s truly a wine lover’s paradise and it’s the best way to get to the next flight of wines! I’m not kidding, you can actually climb up and enjoy the fantastic view from the Horse’s head. 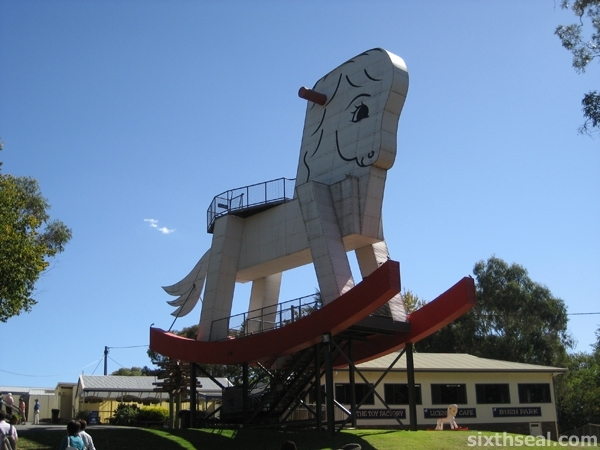 I was told that in the past, the Horse was used as a lookout by the local South Australian Country Fire Service! It’s located in Adelaide Hills and is also home to The Toy Factory (largest in Australia) and a park and picnic area which have animals from kangaroos and wallabies to alpacas (the ones that look like llamas) to emus. I also visited Hahndorf, a small town in the Adelaide Hills region. It’s a very beautiful place which has a strong German heritage – someone asked me at a dinner recently about my favorite place in South Australia and I had to struggle to remember the name because it’s so unusual. There are a lot of restaurants serving German food in Hahndorf and if you love architecture, the fachwerk timber construction and the old heritage buildings would make this place a priority on your itinerary. It’s the oldest surviving German settlement in Australia and art and culture enthusiasts would be spoiled by the museums and galleries in Hahndorf. 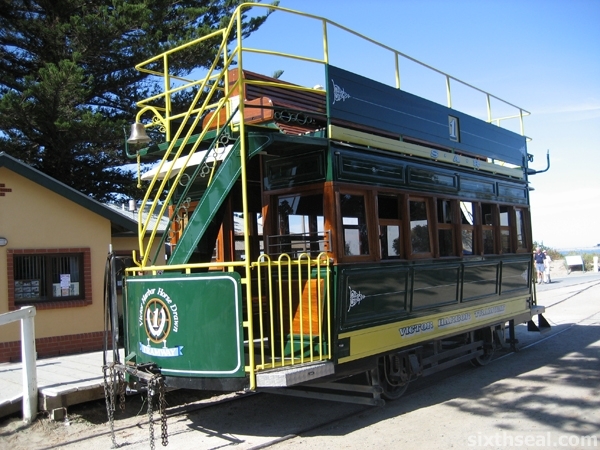 Victor Harbor is another beautiful destination I wholeheartedly recommend in South Australia. It has some of the most beautiful views I’ve ever seen in Australia. 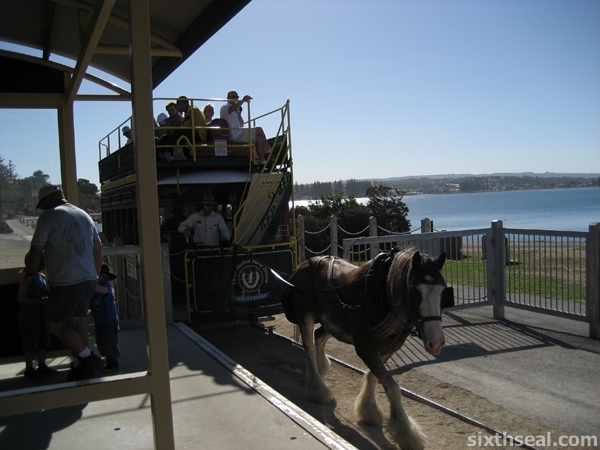 There’s something for everyone too – The Horsedrawn Tram takes passengers from the mainland using the wooden causeway to Granite Island every 20 minutes. Granite Island is where you can immerse yourself with a bit of nature and get some exercise done at the same time! I highly recommend you take the time to wear comfortable shoes and walk around the island – it’s worth your time and effort! 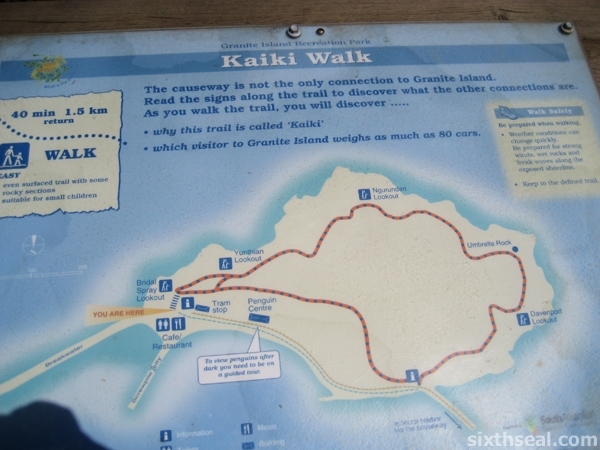 The Kaiki Walk circumventing Granite Island take about 40 minutes and the various lookouts provide for beautiful scenes. Be sure to pack warm weather gear if you’re going in autumn though. Eyre Peninsula is where nature aficionados would want to be – there’s everything from wildlife parks where you can see animals in their native environment. This is where I went swimming with the dolphins! It’s a really interesting once-in-a-lifetime experience that just cost AUD 150 (at the time). 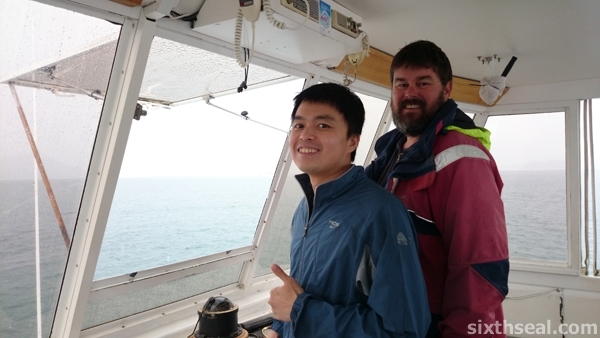 You can also spot sea lions! The dolphins are friendly and would come up and rub against you – this is perfectly normal behavior so don’t freak out. Dolphins are very social creatures and it was one of the highlights of my trip. Anyone can go – even if you can’t swim, since the provided wetsuits are naturally buoyant! It was a dream come true for me and my only regret is not having a waterproof camera. I strongly suggest you invest in one (even the disposable ones) if you go. South Australia is also home to the popular Port River Dolphin Cruises. There are a few operators departing from this location and the best thing is that it’s just 20 minutes away from Adelaide CBD. You’re also guaranteed a dolphin sighting! 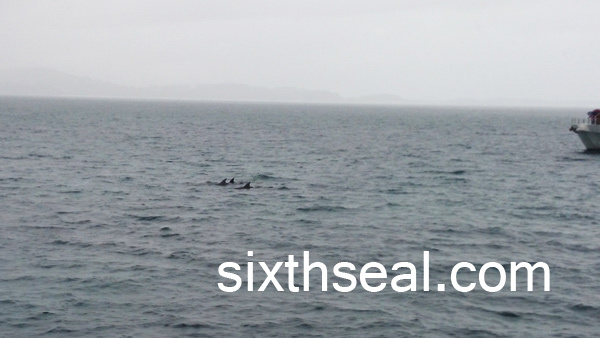 I managed to see several pods of dolphins swim right up to our ship! The dolphins are very friendly and they’ll actually break the surf to try and be close to you. 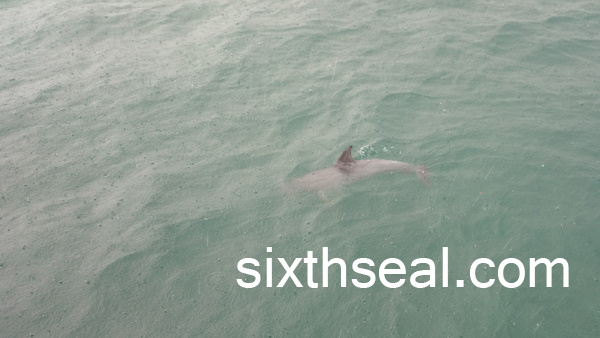 I loved the experience and I’m sure you’ll be charmed by our mammalian friends in the sea too! South Australia is an often overlooked destination but to both the new and seasoned traveller it can offer up a lot of exciting experiences. There are direct flights to Adelaide from Kuala Lumpur and the best thing about the city is that it’s compact, with most attractions within close proximity of the CBD. 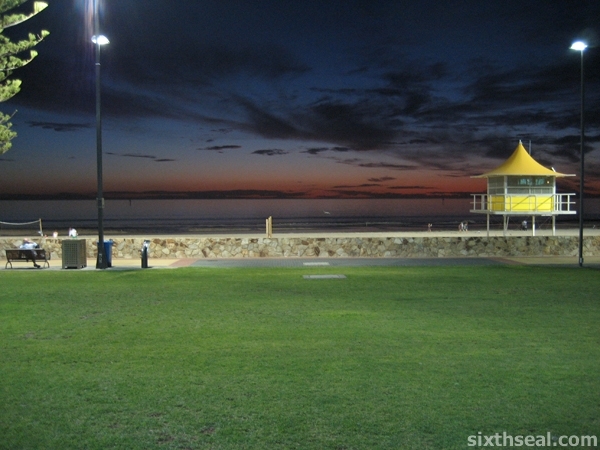 Visit southaustralia.com for more details! Your Malaysian driving licence is valid in Australia too! Adriano Zumbo Red Velvet Tim Tams mailed all the way from Australia! a.k.a. The incredible Adriano Zumbo Red Velvet Tim Tams Australian adventure! I had the first trio of Adriano Zumbo’s limited edition Tim Tams when I was in Sydney a couple of months back, and when I heard that he just did *another* collaboration with Arnott’s Tim Tams, I knew I had to get it mailed to me (at considerable expense). The latest collaboration between pâtissier extraordinare Adriano Zumbo with Arnott’s is Red Velvet and it’s so delicious that words does not do it justice. It’s magnificent! But first, I also want to tell you the story behind this rather interesting experiment. I have mailed various snacks back when I was studying in Australia and I know it can be done (without a cold bag) but I half expected the new Adriano Zumbo Red Velvet Tim Tams to be fully melted when I got it. I rallied my old friend Karen who’s living in Melbourne to mail these treasures to me, since I’ve left Australia and could not hand carry them on my return flight. I just had to have the latest Adriano Zumbo Tim Tams – I not only had the first set of three, I bought a whole lot of his Zumbarons back and we used his macaron baking kit too (post about that soon). Karen is someone I’ve known for practically my entire life – we went to school together and we ever had a class play called Okana featuring her as the lead when we were 14. That was just before I left for New Zealand and we met up again when I was doing my college and uni in Melbourne. I remember celebrating her birthday in Dion (a nice Greek restaurant on Lonsdale St) before going to Moomba in 2003. I spent 5 years there – she never left! Haha! In my defence, my better half is a huge fan of Adriano Zumbo too and I wanted it to arrive in mint condition so we can open it together. I was more than pleased – the way Karen packed the Tim Tams made them so structurally sound (due to the inner plastic tray stacking and resisting external pressures) that it not only arrived without breaking, the chocolate did not melt at all. I knew the Adriano Zumbo Red Velvet Tim Tams weighs 165 grams each from the Coles site. I thought I could get 5 of them (165 g x 5 = 825 g) into a box and still stay below 1 kg but it’s a good thing I didn’t push it and settled for 4 coz the weight came up to 0.912 kg! There was no huge temperature fluctuations and I kept them in my permanently air-conditioned bedroom for several days before me and my dear opened the box. It was a very happy unboxing! The fact that I could eat the newest and latest Adriano Zumbo Red Velvet Tim Tams was more than awesome, we had looked forward to this package for a long time. I honestly didn’t expect it to taste great despite all the (good humored) baiting I got on Facebook since I expressed my interest from Cyd (another one of my ex-classmates). How do the new Adriano Zumbo limited edition Red Velvet Tim Tams taste like? I didn’t think the Adriano Zumbo Red Velvet Tim Tams would taste this awesome. It’s honestly the best Tim Tams I have ever had! I’ve only really liked Salted Caramel out of his first collaboration trio and my favorite Tim Tam flavor was Turkish Delight (until now). My better half says it tastes *exactly* like eating red velvet cake. I thought it was a cross between eating red velvet cake and a Tim Tam. Adriano Zumbo did well in this second collaboration – it surpasses the original triplet of limited edition Tim Tams. It’s rich, decadent and balanced well. The buttery red velvet Tim Tams pairs up with the cream cheese (!!!) center to produce an irresistible biscuit. The new Red Velvet Tim Tams by Adriano Zumbo comes in the standard 9-biscuit pack, unlike the “Treat Pack only” (5-biscuit) format of his previous collaboration with Tim Tam. It’s really delicious and well worth the postage to get them here. I spent AUD 32.50 on postage and each pack of Adriano Zumbo Red Velvet Tim Tam retailed for AUD 3.49. That comes up to AUD 49.49 in total (or about RM 144). Thus, each pack cost me RM 36. That’s RM 4 per Tim Tam biscuit (!) but I’ll happily get a second batch over in a heartbeat. Don’t miss out if you ever see them around, the latest Arnott’s Tim Tams x Adriano Zumbo collaboration will blow you away with the velvety red velvet cake inspired Tim Tam with the buttery cream cheese center! Adriano Zumbo has teamed up with Arnott’s Tim Tams to create three (3) beautiful new flavors for the 50th anniversary of Tim Tams. Yeah, it’s the iconic Tim Tams 50th birthday! I was quite chuffed when I read about this in the Coles blog – I had planned to get heaps of Adriano Zumbo macarons to bring back during my trip to Sydney earlier this year, and now I can get even more less-perishable items from the master pâtissier! I’ve loved Tim Tams ever since I started studying in New Zealand when I was 15. It was my go-to snack when I was doing college and uni in Melbourne and I’ve always been on the lookout for new flavors. This is even better – it’s a collaboration between Arnott’s Tim Tams and Adriano Zumbo! I’m going to call them zumbotams. This is my favorite out of the three. Adriano Zumbo’s Salted Caramel Tim Tams are deliciously done – it tastes quite salty, they definitely did not skimp on the salt here. You can immediately taste the fleur de sel as soon as you bite into it and the aftertaste it leaves is savory. This is a perfect Tim Tam for those who don’t really like sweets coz it comes off as more salty than sweet. However, this can also be a problem for some people. My better half didn’t like this at all – too salty, she said. I did though, I enjoyed it tremendously! I’ve always liked salted caramel – so much so that I can’t eat regular caramel anymore, I’ll miss that salty bite and this limited edition Adriano Zumbo Tim Tam has that in spades. My better half’s favorite flavor! It’s a chocolate brownie inspired Tim Tam and Adriano Zumbo has done well in making a Tim Tam taste like a brownie. Chocoholics would love this to bits – it’s a very sweet zumbotam. ;) It’s rich and thick! I personally did not really like the combination of flavors – I felt it was a little too one dimensional. It’s sweet piled on top of sweet but everyone’s taste buds are different (which is why I like the savory salted caramel so much and gave all the Adriano Zumbo Choc Brownie Tim Tams to my dear) so this might be just the right amount of sucre for some. Now this is one interesting flavor, and it’s the one most commonly seen in the Arnott’s Tim Tams x Adriano Zumbo collaboration. The Raspberry White Choc Tim Tam by Adriano Zumbo is coated with white chocolate and there’s a line of fruity raspberry compote filling inside the biscuit. I bit off the top bit and the bottom bit and did the Tim Tam Slam with it and it tasted pretty good that way! I just love drinking cold milk through a Tim Tam. This is a rather divisive flavor though – I notice that people either love it or hate it and the latter usually describes it as too artificially flavored. I did find the combination of raspberry with white chocolate challenging to my palate but it’s a really interesting flavor. 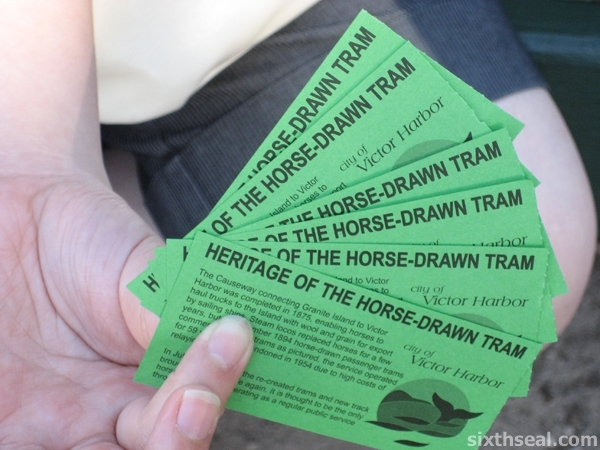 Interesting fact: Tim Tams were named after a horse that won the 1958 Kentucky Derby.